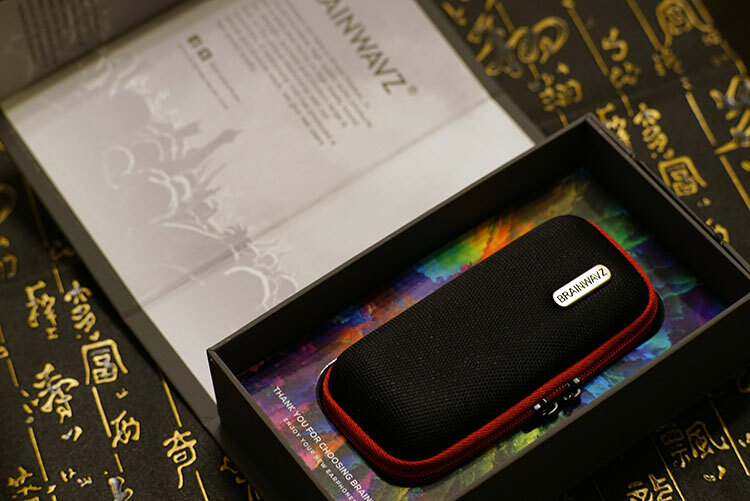 Disclaimer: The Brainwavz Koel was sent to us a sample in exchange for our honest opinion. We thank Brainwavz for this opportunity. 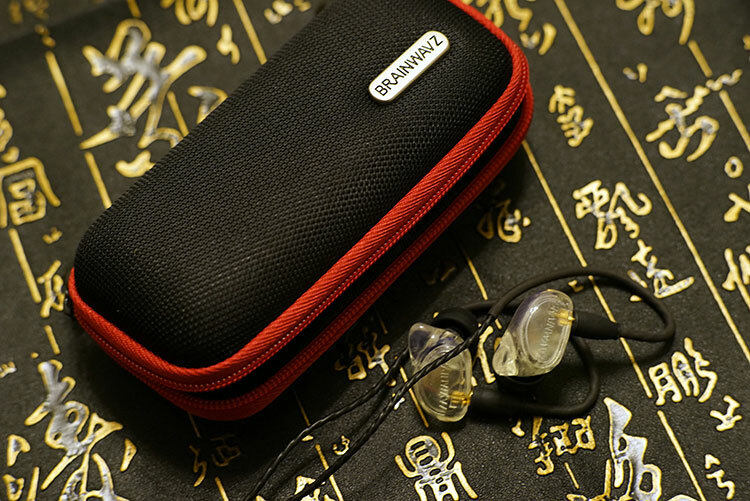 To learn more about Brainwavz product reviews on Headfonics you can click here. Koel. This actually a name for a member of the cuckoo order of birds and now the latest addition brand name to Brainwavz’s line-up of IEMs. It has no intention to hide its ability to sing and replay the music lively and truthfully! The KOEL features a single balanced armature configuration and a special housing printed by a liquid Resin 3D printer, a technique with increasing popularity in high-end custom monitor manufacturing and modeling/ jewelry sampling, well utilized to craft shapes that couldn’t be achieved easily by hands or machining. 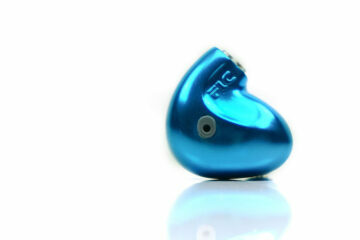 The KOEL has a pebble-like finish and it sits very comfortably in the ear with a slightly shallow fit. The KOEL definitely looks special, with wings extending from the pebble-like body to cover the incisura intertragica area of the ears. This adds security to the fit also the solid filler material contributes to better passive noise isolation. The KOEL uses light profile MMCX connectors concretely fixed in the 3d printed housing, same for the driver buried in an area printed for it. When taking off the tips you could see a white filter. It looks and feels quite cool in the hand, the finishing is pebble smooth and you can only merely trace how they seal the lid and have it polished gaplessly, while the inner printing marks are not processed to give it a raw matte industrial feeling. The cables included are molded very nicely, lightweight with an ear-hook wrapped with heat-shrink which you may reshape by heating it with a hairdryer for a better fit. 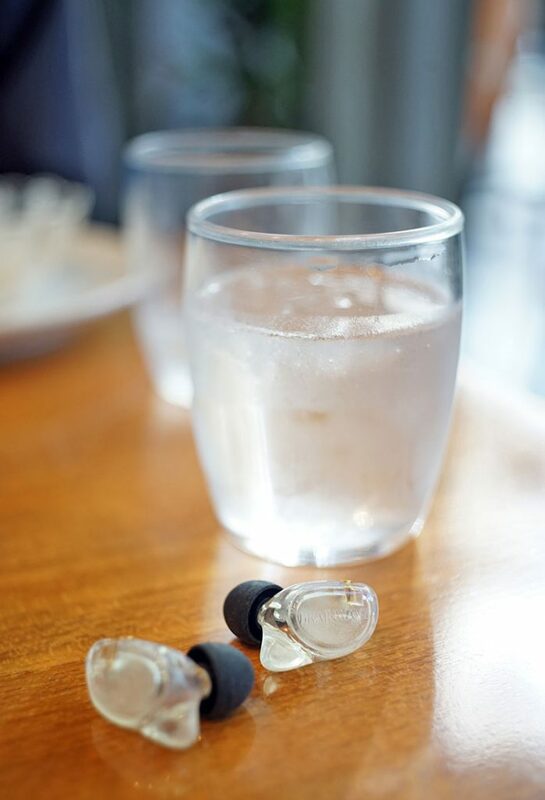 Isolation is good and fit is perfect for my ears, the 30-degrees angled shallow fit and stock tips sit very comfortably in my ears, fit-and-forget experience as Brainwavz suggested. The Koel has an impressively designed retail package for this price-point including a sturdy hard case that most will find very useful for portability on the go. The box design on the box is very well done with a quality embossed printings to start with. I am sure this could be a nice gift and this is one of the best packagings I have seen for sub$100 iems with no doubt. There is a generous bunch of accessories coming with the KOEL and T-100 foams from Comply which will tweak the bass performance and for better comfort when wearing it. I am actually new to Brainwavz for earphones, but similar configurations and driver placement can be found in my collection of iems including the Etymotic Research ER4S and also some other single/dual driver CIEMs that have a filter with a BA driver half buried in the nozzle. The BA position is to reduce the loss of high frequencies and increase SPL/ accuracy. The filter decides how are the frequencies are smoothened and along with the housing design, attenuation, choice of driver, and cabling, it shapes the final output. 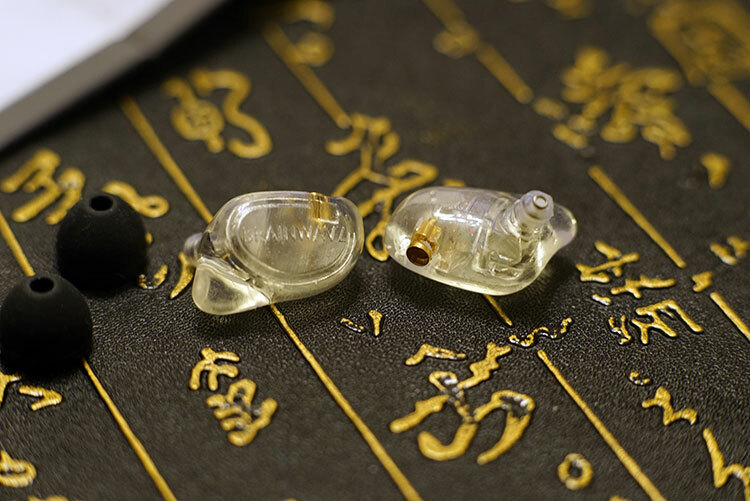 It sounds easy to make a single BA iem but it could actually be too bassy or hot in the treble if done poorly. Luckily after a listen to the Koel out of the box my concerns were proved unfounded. The KOEL has a nice balanced tuning, with highlights on the vocal, shallow and soft kicks from the middle-sized driver, and a gentle bass response as officially claimed. As it is a single BA configuration there is a slight roll-off on both ends especially the upper treble but easily forgivable for the price. The higher notes in the male vocal range are presented quite effortlessly which is the best part of the tuning to me. I fired up some Sia songs that extensively uses xylophone and also some Cantonese songs including Beyond’s best collection, and both paired really nicely with the Koel! The Koel soundstage is average but it doesn’t feel congested. The slightly laid-back lower-mids focused tuning and close vocal imaging makes it a comfortable listen. At the same time, the soft-impact bass performance is good for tracks with a lead singer and a guitar as their focus. For me, it does old 80/90s Cantonese pop songs a great service and I am sure you can double confirm this when you listen to the same genre on the Koel. The above impression of the Koel was initially completed with a Hiby R3 pairing. Switching to an Oriolus DP100 match-up with the Koel delivered a lot more power. Quickly switching to a higher gain the upper mids stand out a lot more on the Koel. I still rate the peak as nicely controlled so you will not find any edgy or unwanted spikes. Now with more power fuelling the IEM the bass impact is tighter. You can subtly hear the bassline at the back of jazz songs and the sax clearly standing out. Switching to some triple flange tips I was able to produce a treble response from the Koel not unlike the E4RS, i.e. more pronounced but I still prefer the fit and overall presentation with the originally supplied tips. Switching to the Etymotic Research ER4S the treble was a lot more extended and open sounding up but the comparative bass quantity is definitely lighter. I hate the deep insertion of ER4S but it does add more clarity and air to the most tracks. The sound signature is quite different from the Koel although both are single BA configurations. The ER4S has a swifter treble extension and more solid image than the KOEL which focuses more on the vocal and bass. Sub-bass is lacking for both and not on the Jomo Audio Haka or CA Comet level but reasonable compared to the likes of the qdc Neptune. I would recommend getting IEMs with multi-drivers especially ones with big drivers for better bass/ sub-bass reproduction such as the B400 from Brainwavz. If your aim is for critical listening with a signature that is more revealing then you should choose the ER4S, which may be a pain wearing. The cheaper KOEL will be a winner for a more relaxing sound and more intimate natural performances from genres such as folk music and the mid-centered guitar solos. If your budget is under $100 and you are looking for a comfortable IEM with good fit and a relaxed or forgiving tuning then the Koel is worth a demo. Those who enjoy a monitor with a strong focus on vocal performances should also check out the Koel. My own listening sessions were often 3 hours or longer in single listening session in front of the computer typing up this review playing a lot of old Canto pops and old folk songs for the whole night! That is how forgiving the sound signature is. The 3D print design and material quality are excellent also. It is rare to get this level of craftsmanship from a single BA design at this price-point. The Koel monitor is very comfortable to wear and relaxing to listen to as a result. Overall, the Koel is a serious stab at stealing budget audiophiles away from smaller cheaper brands such as KZ that have done so well at this price point. Monitors like this used to cost a lot more a few years ago. Well worth checking out as a first time-upgrade IEM.